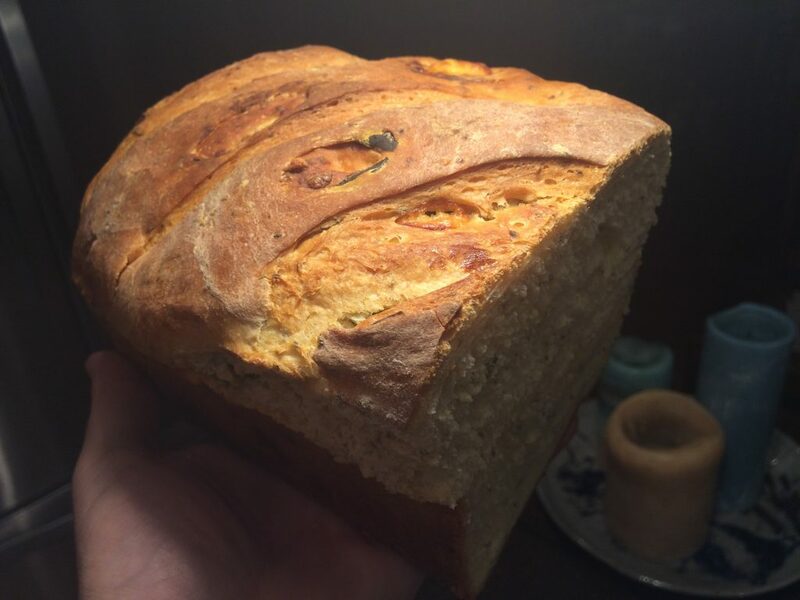 Earlier today, I was making some Sesame Cheddar bread with diced manzanilla (my wife’s favorite) – and got to thinking deep thoughts about other cheeses that would taste yummy in bread. 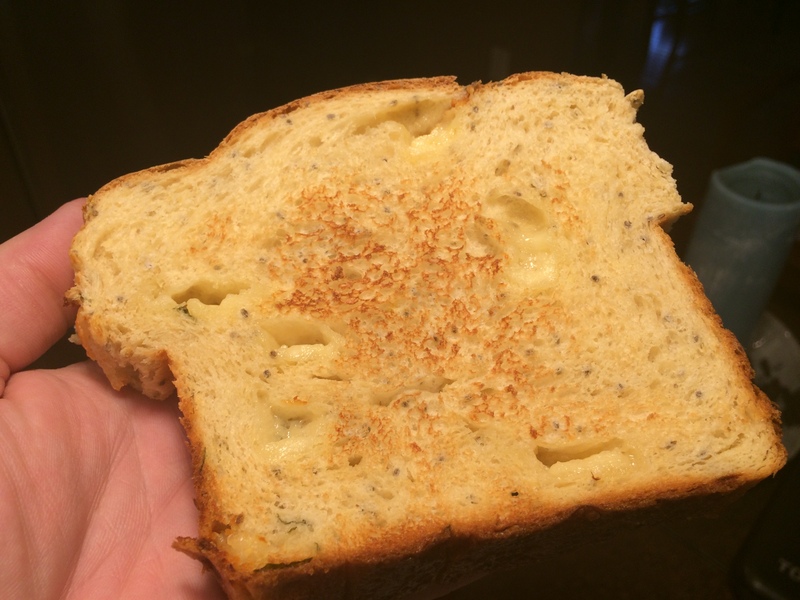 I have made a few recipes with cheeses but wanted to try a cheese I hadn’t used before. I journeyed far into my subconscious mind (and the cheese drawer of the fridge) and after much meditation and rummaging, came to the realization that my cheese drawer was pretty empty. So, I grabbed the lone block of Havarti. 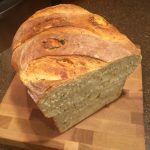 And because I can’t make a loaf of bread with just a single flavor (seriously, have you seen the titles of recipes on this site? ), I also snagged the package of fresh basil. 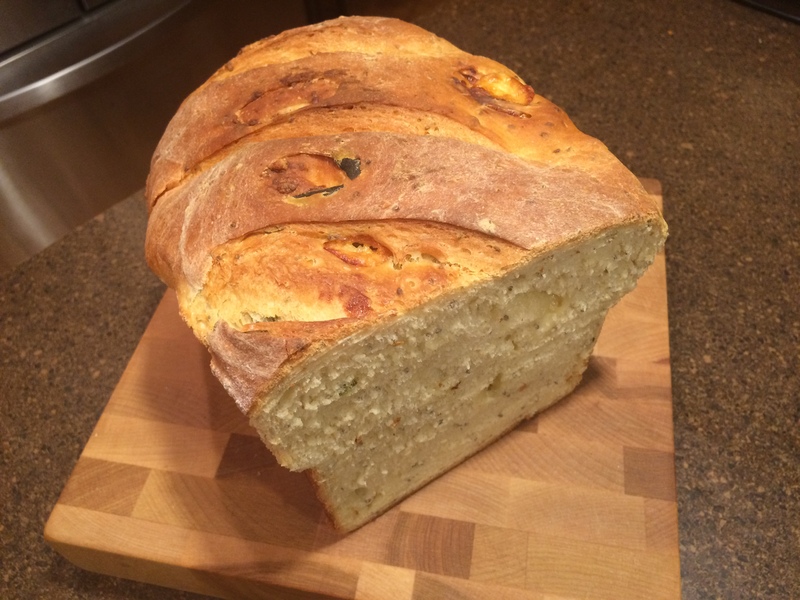 This recipe is loosely based on the one for Sesame Cheddar Bread. 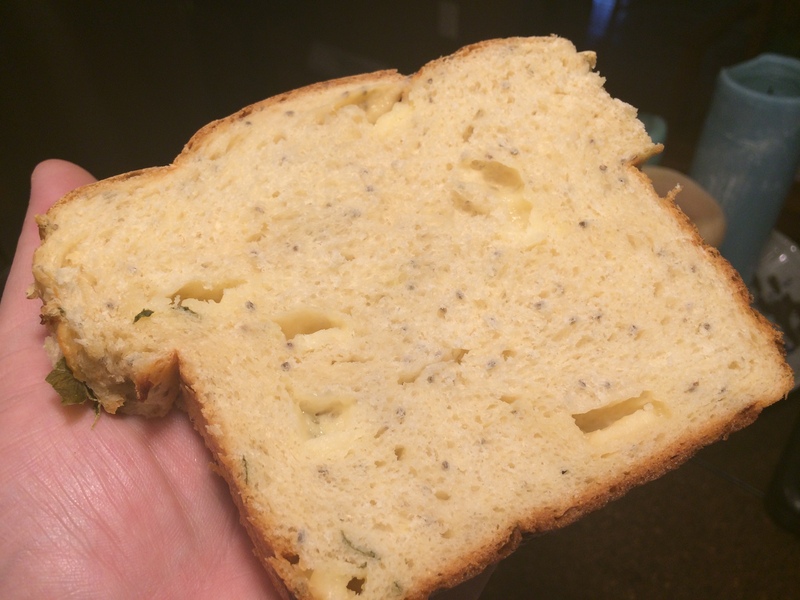 I replaced the 1/2 cup of toasted sesame seeds with a 1/4 cup of chia seeds, swapped the Havarti for the cheddar, added basil, and threw in some Greek yogurt and quinoa flour because I have hipster leanings. My son Sawyer and his D&D crew liked it (teens? check! ), and my wife asked for another piece of toast made with it this morning for breakfast (wife? check!). Having passed those two checks, I can reasonably assert that this recipe rocks. Yay! In a large bowl, stir yeast into water to soften. Add sugar, yogurt, butter, salt, eggs, basil, chia seeds, quinoa flour, and 1½ cups flour. Beat vigorously for two minutes. Turn the dough out onto a lightly oiled work surface. With the heel of your hand, flatten the dough to a 15-inch square. Sprinkle with the cheese. 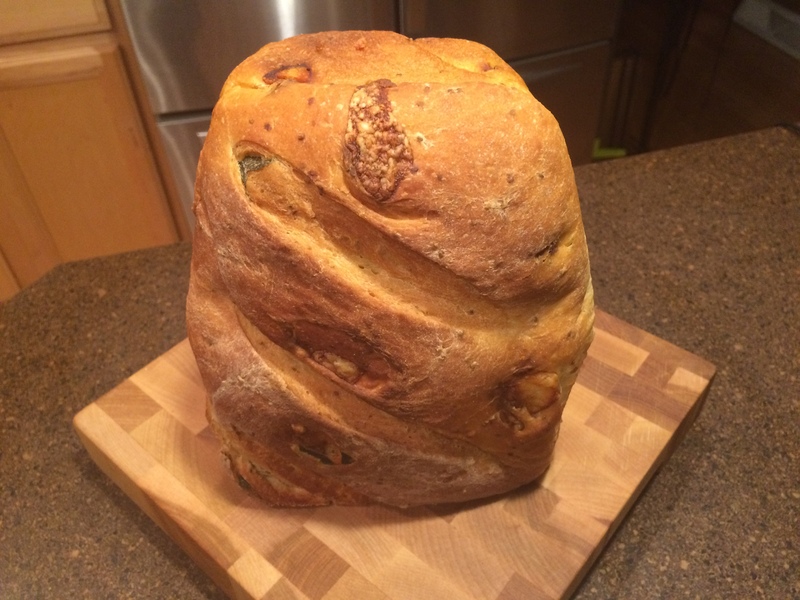 Roll up, then knead a few times to marble the cheese throughout the dough. Cover with a tightly woven towel and let rest for 5 minutes.